‘Aerogel’ is a broad term used to talk about an extraordinary group of materials that have been used since the 1960’s in space travel, but are now finding uses across a whole range of industries. ‘Aerogel’ is not a specific mineral or material with a set chemical formula-rather, the term is used to encompass all materials with a specific geometrical structure. This structure is an extremely porous, solid foam, with high connectivity between branched structures of a few nanometres across. Though aerogel is technically a foam, it can take many different shapes and forms. The majority of aerogel is composed of silica, but carbon, iron oxide, organic polymers, semiconductor nanostructures, gold and copper can also form aerogel. However, within the aerogel structure, very little is solid material, with up to 99.8% of the structure consisting of nothing but air. 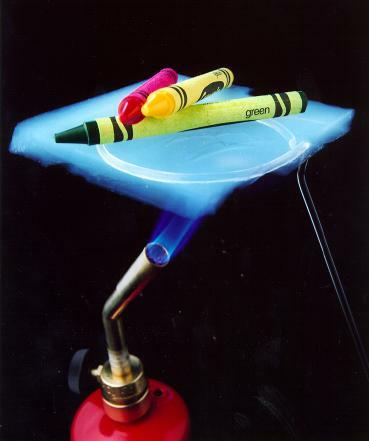 This unique composition gives aerogel an almost ghostly appearance; hence it is often referred to as ‘frozen smoke’. One of the best known and most useful physical properties of aerogel is its incredible lightness-it typically has a density between 0.0011 to 0.5 g cm-3, with a typical average of around 0.020 g cm-3. This means that aerogel is usually only 15 times heavier than air, and has been produced at a density of only 3 times that of air. It is so light, that if Michelangelo’s David was constructed from aerogel, it would weigh about the same as a bag of sugar! For many years, aerogel was in the Guinness book of world records as the ‘solid with the lowest density’, before being ousted recently by the metallic microlattice and then aerographite. 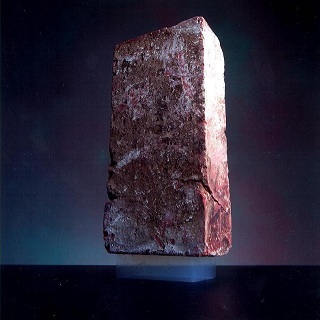 This far from renders aerogel redundant however, as it has a further 14 world records to its name, including ‘best insulator’. Further desirable properties of aerogel are listed below, with some of these properties also the best known to man. In general terms, aerogel is created by drying a gel, in a high temperature environment. First the gel is created in a solution, and then the liquid component is removed via supercritical drying, which removes liquid slowly in order to maintain the structural shape. This liquid component is then replaced by air. Aerogel was first created in 1931 by Samuel Stephens Kistler, with carbon aerogels first introduced in the 1980’s. As aerogel has such diverse chemical and physical properties, it is no surprise that it also has a wide range of applications. Since the 1960’s, aerogel has been used as the insulating material in spacesuits of NASA astronauts as, despite its wispy appearance, it is extremely strong and can survive take off conditions easily. 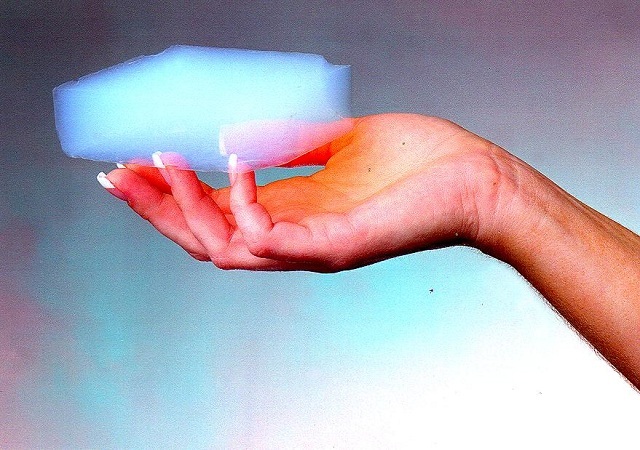 In the early 21st century, aerogel was employed in a very special role by NASA- to capture space dust. Aerogel is being used in conjunction with the ‘Stardust’ mission, which aims to bring back particles from space from beyond the Moon for the first time. This dust is being primarily collected from the comet ‘Wild 2’. Aerogel is being used to capture this comet dust, as it will be able to trap the small particles without physically altering them. When the particle hits the aerogel, it will be travelling at speeds of up to 6 times that of a rifle bullet, which means most substances would not be able to slow the dust down without heating and thus alteration taking place. With aerogel however, the dust buries itself into the porous material and is gradually brought to a stop as it loses momentum. Aerogel is starting to become a must-have material in the insulation industry and has been used for several years in cavity injected wall insulation and insulating boards. Recently, aerogel-based plaster has been used to insulate historic buildings in Switzerland. The EMPA (Swiss Federal Laboratories for Materials Science and Technology) labs have worked with the manufacturing company Fixit AG to develop a render (insulating material) based on aerogel, which they believe will provide twice the insulation of normal renders. The use of aerogel in this way is extremely energy efficient and environmentally beneficial, as it will cut the use of fossil fuel hugely in heating. Improvements in the fragility and brittleness of aerogels announced recently means that a whole new world of applications may be opened up in the future, from clothing to heat proofing. There may be potential for use as a replacement material or additive in cement and concrete production.